Civil Engineering - Monterey Bay Engineers, Inc.
Civil Engineering is the analysis, design or investigation of all fixed works. This means the planning, analysis, design and construction of all facilities that are constructed above, upon or underneath the ground. This may include the planning and permitting of grading, drainage systems, retaining walls, storm water disposal, water and sanitary sewer systems, street and road design and structural analysis of existing or planned buildings. All aspects of site work for existing or new development of commercial or housing projects are within the field of civil engineering. Land Development includes the planning and permitting process for the construction of commercial, institutional and residential developments. We have completed many subdivisions and commercial projects during the past years and have a good working knowledge of the local agency’s regulatory requirements, essential for proper planning. This includes compliance with General Plans, development standards, zoning regulations and knowledge about California’s Subdivision Map Act. During the past 35 years we have observed the design process evolving from desk calculators and drafting tables to the computerized offices on the cutting edge today. Our office is equipped with the latest AutoDesk, Land Development Desktop and Civil 3-D software produce accurate and timely products. Electronic data files and drawings are now routinely exchanged between professionals on the design team over the internet. Subdivision Development All new divisions of real property must be done in accordance with local regulations and in compliance with the California Subdivision Map Act. We can assist with subdivision planning to balance the maximum number of new lots with the governing ordinances and site limitation and development costs. We prepare the “Tentative Map” that is generally required for the application to the city or county a subdivision. Once the subdivision application is approved, we then may prepare the site improvement plans, and the Final Map. The Final Map is the official document that creates the new lots or parcels when it is filed with the County Recorder. Residential & Commercial Development We work with you and your designer or architect to locate your new home or business at the desired location, while conforming to local zoning regulations. Many factors must be considered with the efficient development of property. These may include topographic constraints, access to public streets, utility connections, storm water disposal, and environmental issues. Road Improvement Plans are required for new streets, roads, or upgrades to existing roads or streets. These may include frontage improvements such as curb, gutter and sidewalk, and pavement design for both public and private developments. All new improvements must comply with the requirements of the local agencies. ADA, or handicapped access, must also be considered. Plan and Profile drawings are usually required. Grading Plans are developed to allow re-shaping of the ground to accommodate new developments. Many factors must be considered such as soil types, the balance of cut and fill volumes, transitions to existing conditions, drainage design, and prevention of future erosion. Drainage Studies & Plans Drainage studies are performed to estimate the quantity of runoff with regard to rainfall intensities and site characteristics. Disposal of storm runoff on-site is becoming a more common requirement. This may include the design of pipelines, detention basins, or percolation areas to mitigate the detrimental effects of uncontrolled drainage. Recent regulations now require Low Impact Development relating to pollution control and site drainage. Utility Systems include sanitary sewers, water supply, water storage, and water distribution systems. The hydraulic capacity of these systems must meet the requirements of present and future developments. Water systems must be designed to provide fire protection as required by the local agencies. Sewer lift stations are sometimes required where gravity discharge is not possible. Structural Analysis and Design is required in by the California Building Code for the stability of structures and public safety. This may apply to the determination of safe loads, earthquake resistance, and analysis of failures due to improper design or destruction by dry-rot or termites. Structural plans and calculations are necessary for all commercial developments, and residential structures that are not standard construction. Retaining Walls are sometimes necessary to allow more efficient use of the land, or to mitigate elevation differences where there is no room for graded slopes. We have extensive experience with all types of retaining walls including concrete, masonry, timber, segmental stacked blocks, gabions, and tie-backs. 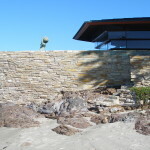 Most retaining walls will require a building permit. We may provide structural calculations, typical details, and wall profiles as required. Storm Water Pollution Prevention Plan (SWPPP) is required for grading work on sites one acre or larger. We possess the specific knowledge and certification to develop and implement Storm Water Pollution Prevention Plans. Construction Management include the processes of obtaining competitive bids for construction, construction cost control, and observation to attain compliance with the plans and specifications.